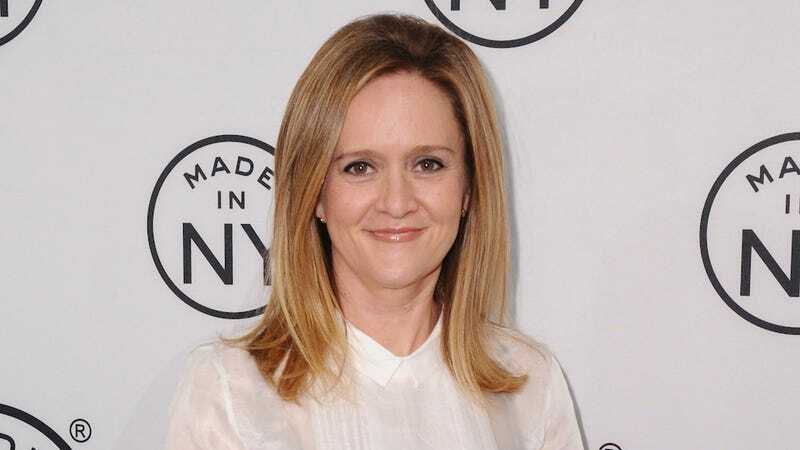 Good news on a grim day: The Daily Show correspondent Samantha Bee is getting a solo show on TBS, thus continuing the Jon Stewart exodus. Bee's show is in addition to a scripted comedy that's already in development with the network. The new show, which is in the early stages of development, is being planned as a platform for Bee to apply her smart and satirical point of view to current and relevant issues. In addition to hosting, Bee will serve as executive producer on the show, along with Jones. Meanwhile, their untitled comedy is based on the couple's family life and involves a road trip. Bee will still contribute to The Daily Show before fully moving over to TBS this summer.